Hello stranger! 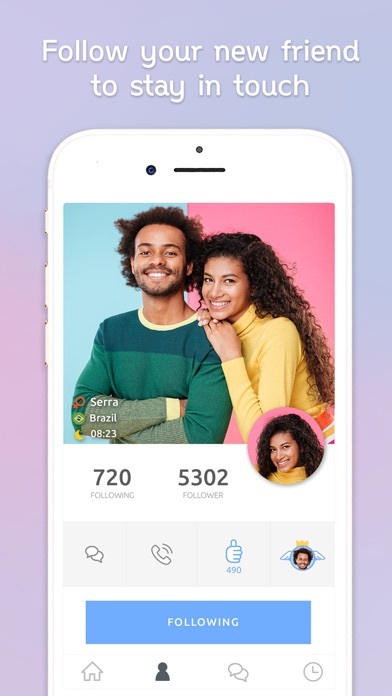 Bermuda is an application that connects you to new friends around the world with a single swipe. Here you can meet new people, talk about life, culture, and maybe make new friends from the other side of the earth. Learn foreign languages, practice to talk to them and learn various skills together with your new friends. You will meet one of our many users face to face in real-time via your mobile camera. Search for new friends all over the world with our new revolutionary application. 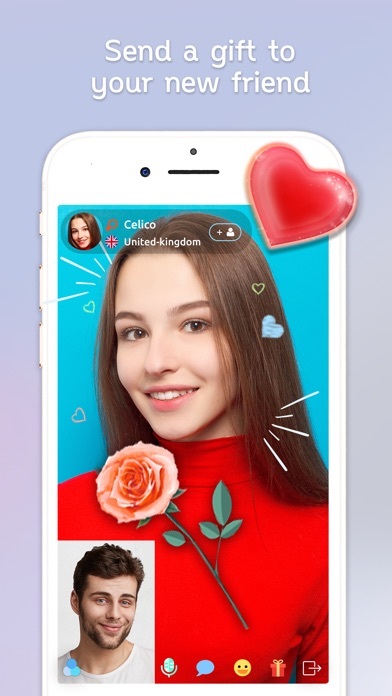 Key Features: - after connecting with one user, simply swipe left and the next person awaits. - you can send presents to your friends. - ban user in case of complaints of other participants. - high quality video. - various camera filters. Terms of using "Bermuda": - new people is selected by region & gender. - users generate their own content and are responsible for it. - sexual content are not allowed and users generating it will be immediately banned! - users who do not show faces when viewed by other users may be blurred. Enjoy your conversations without leaving home! 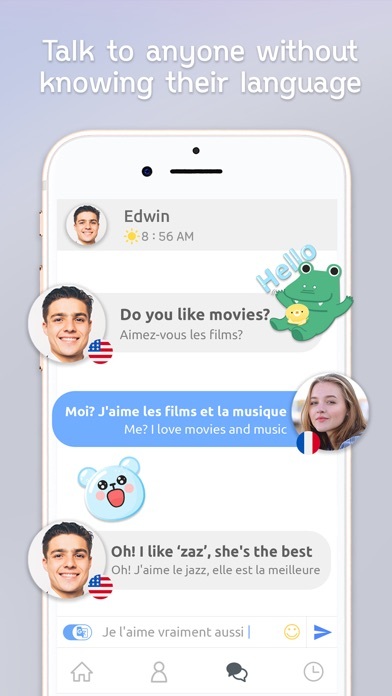 Great... there are other video chat apps but nothing like this one.